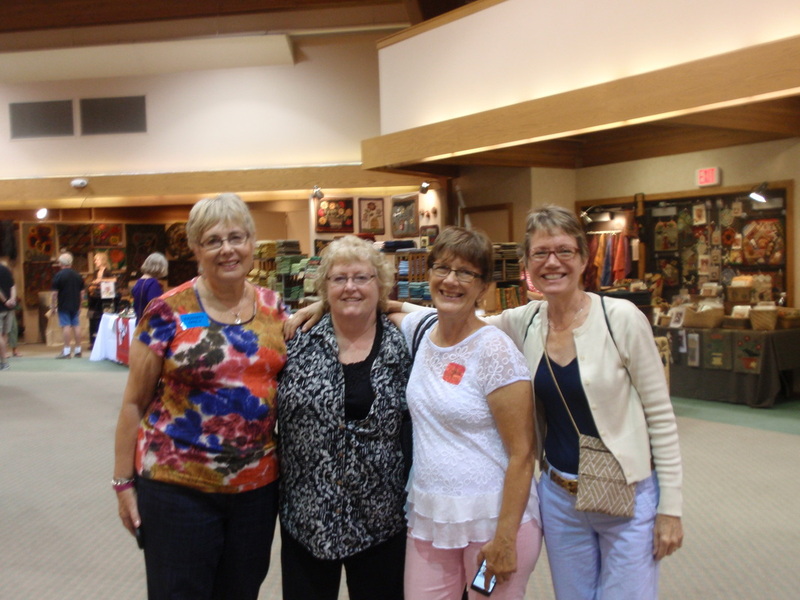 ﻿Leanne Sitler, Cindy Irwin, Bonnie Caldwell, and Connie Bateman made the yearly trek to Sauder Village and there was great reason to be there and see the exhibits. 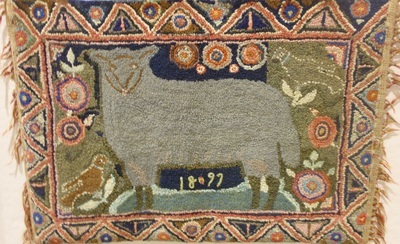 This year, the Woolwrights were on display. 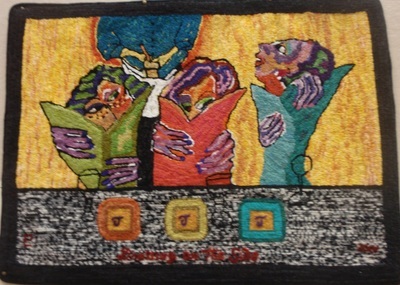 Eight members of our group were chosen to be in the Celebration XXV exhibit. The rest of the story from Connie Bateman: It was a whirlwind tour leaving on Friday and returning on Sunday, but well worth the seven plus hour drive. 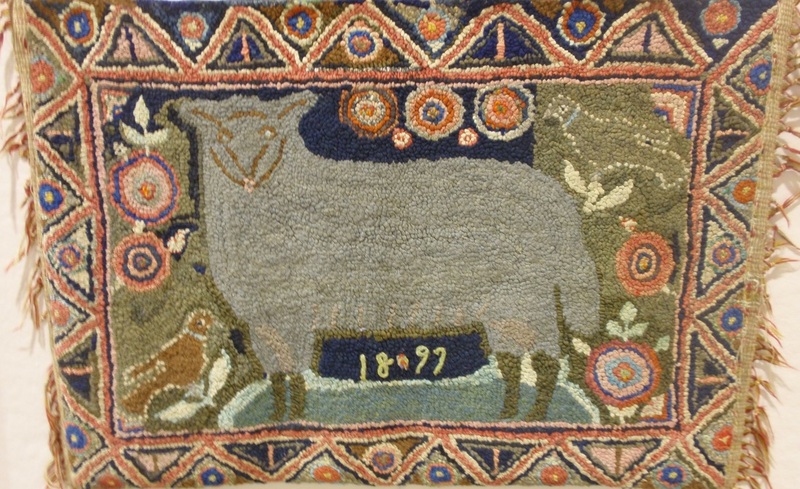 With so many of our guild members displaying rugs in Celebrations this year, it was just too exciting to miss! 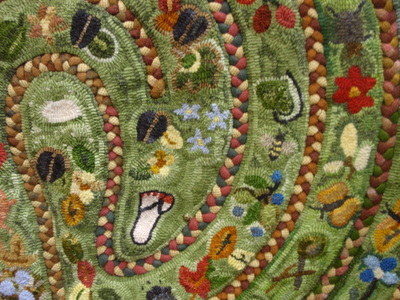 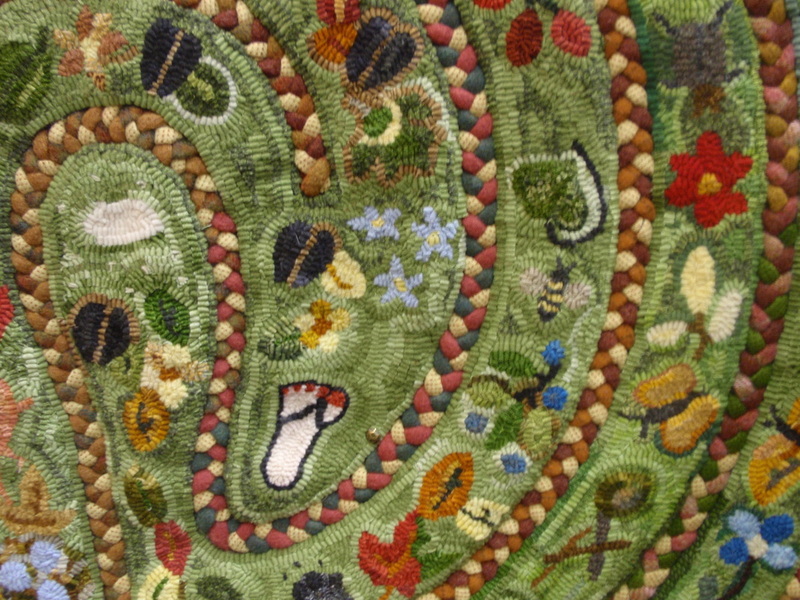 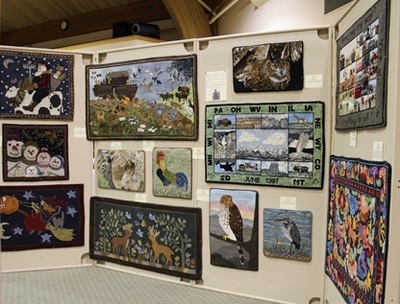 With rugs by Vicki Landis, Cindy Irwin, Marion Sachs, Theresa Rapstine, Judy Carter, Mary Gordon, Pat Levinson, and Peggy Hannum and many other talented rug hooklng artists, it was an incredible show as always. 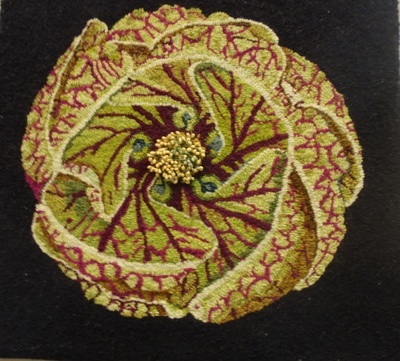 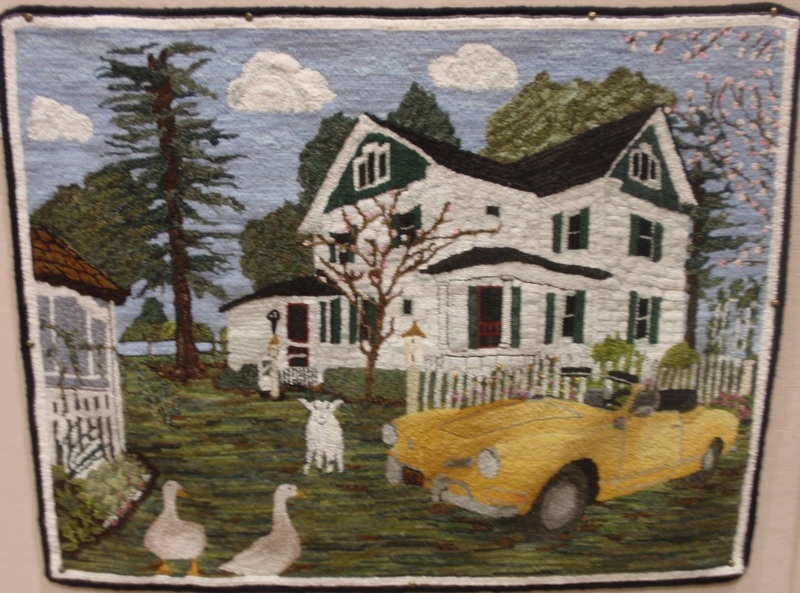 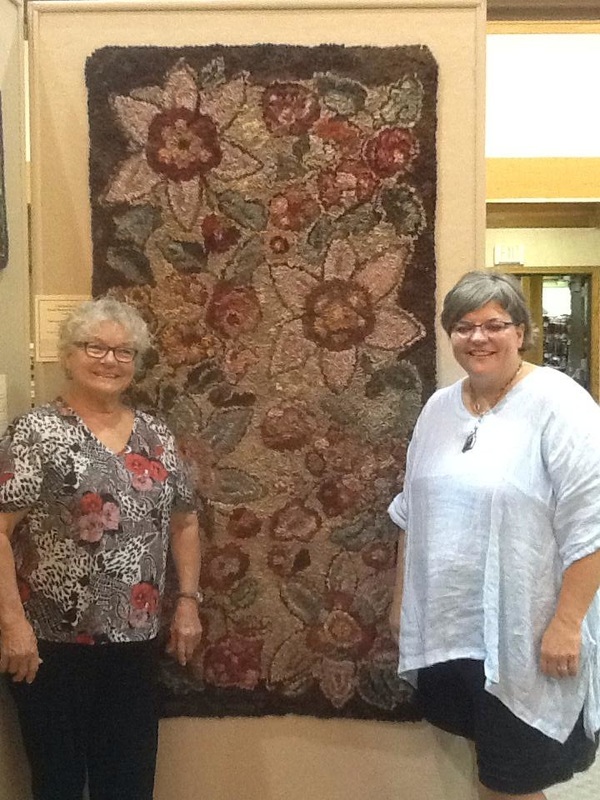 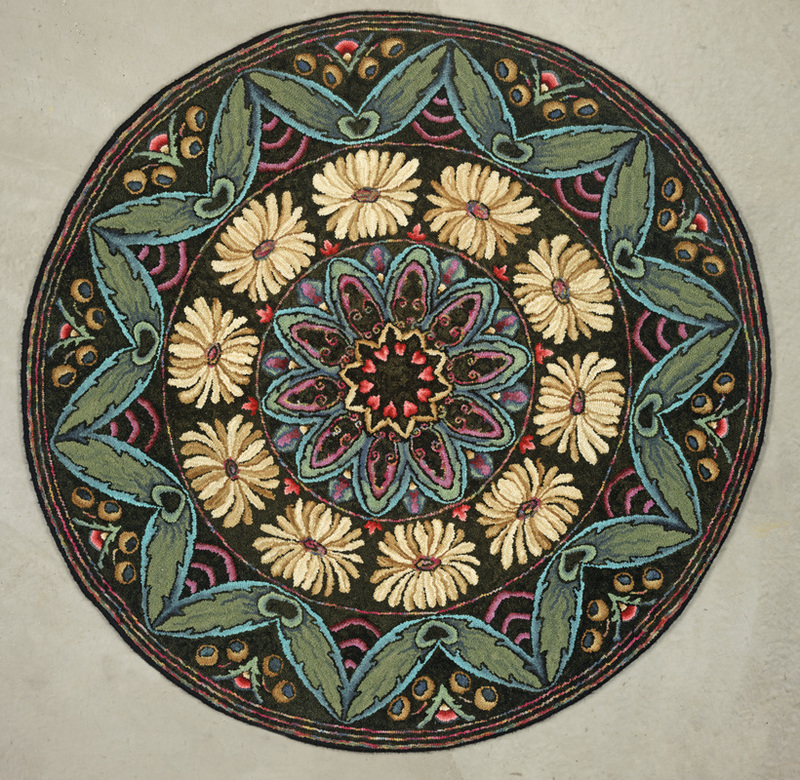 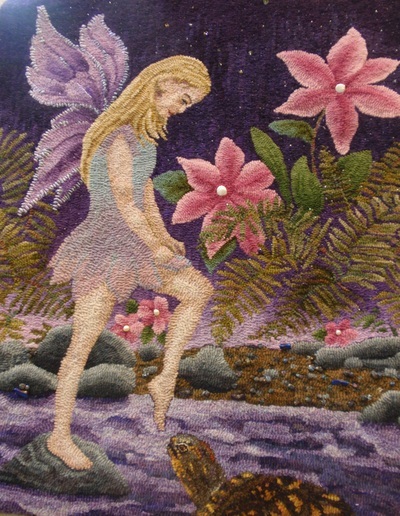 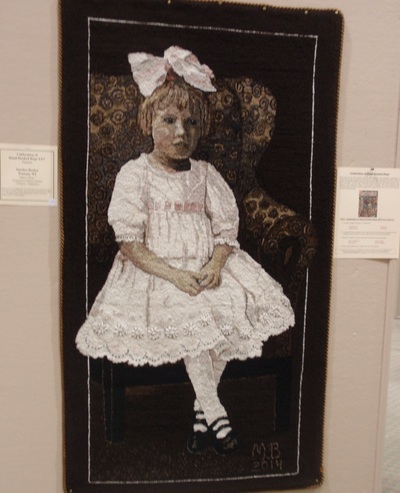 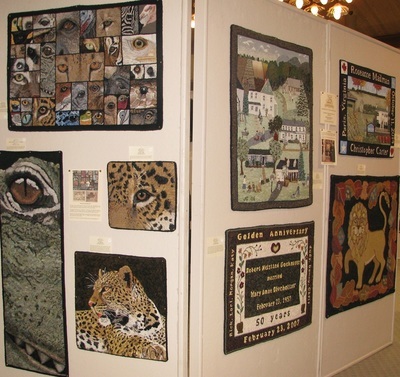 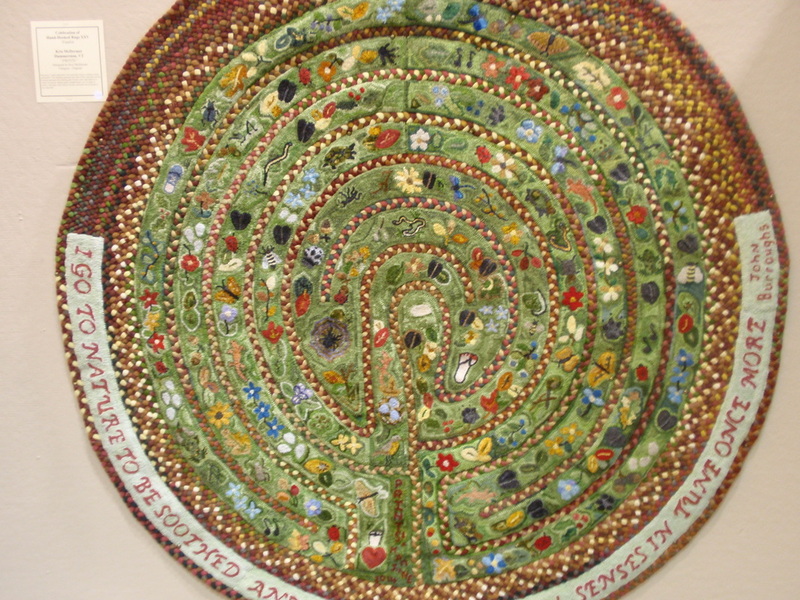 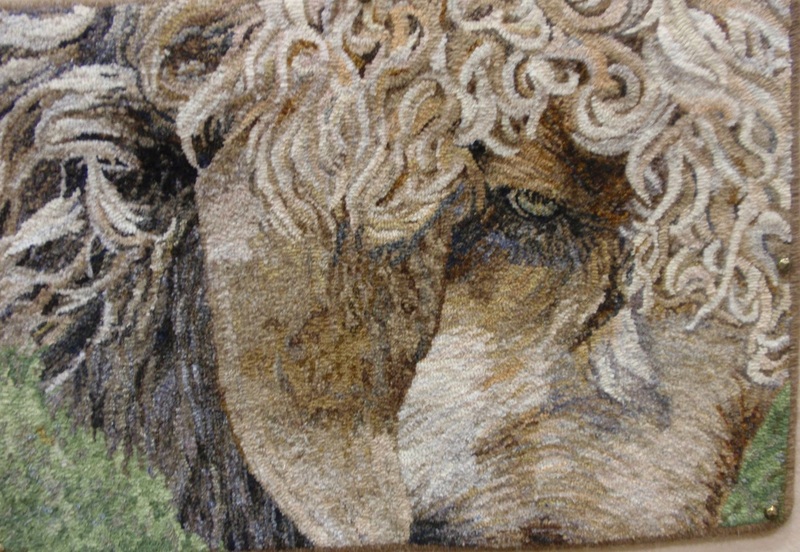 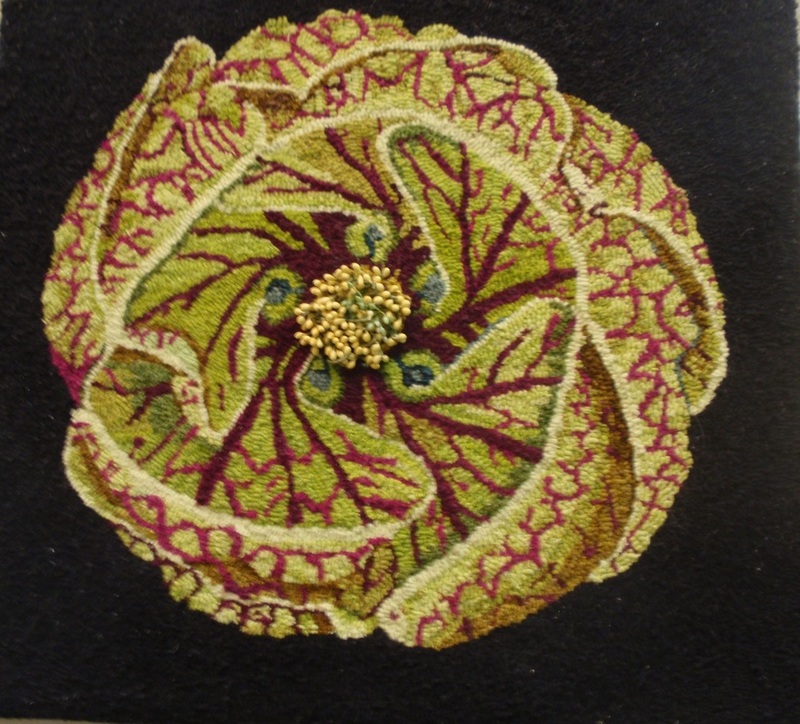 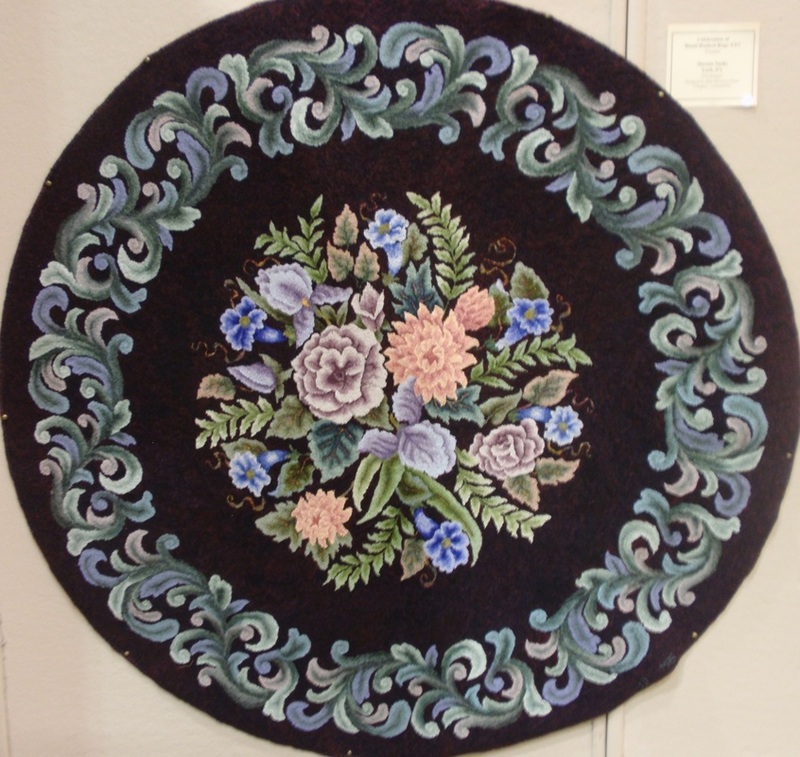 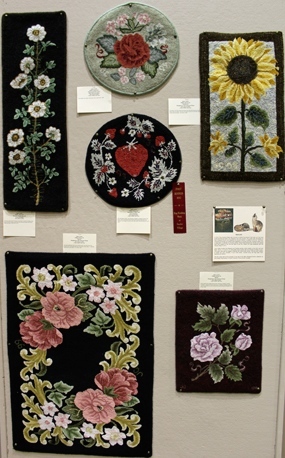 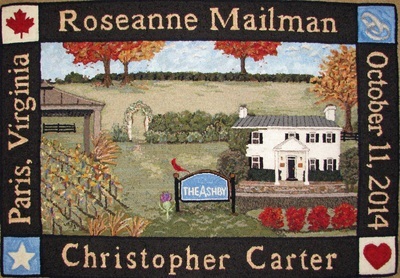 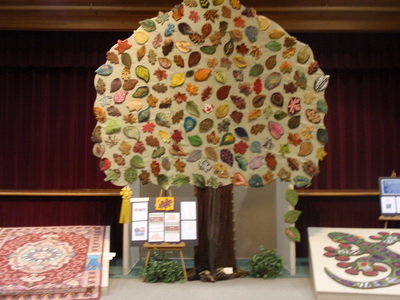 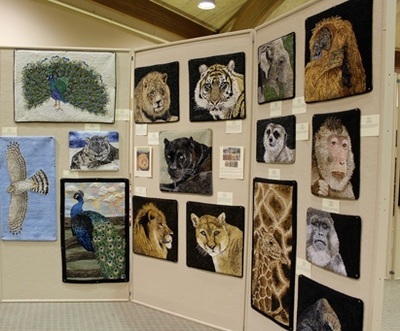 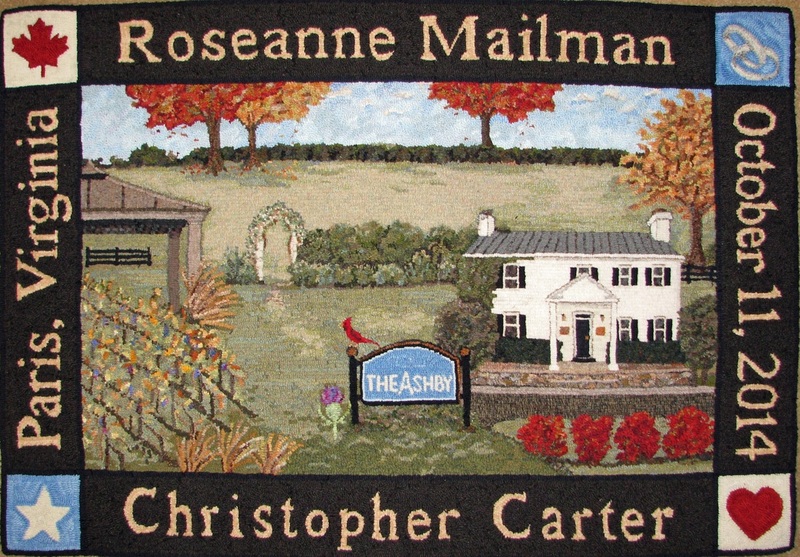 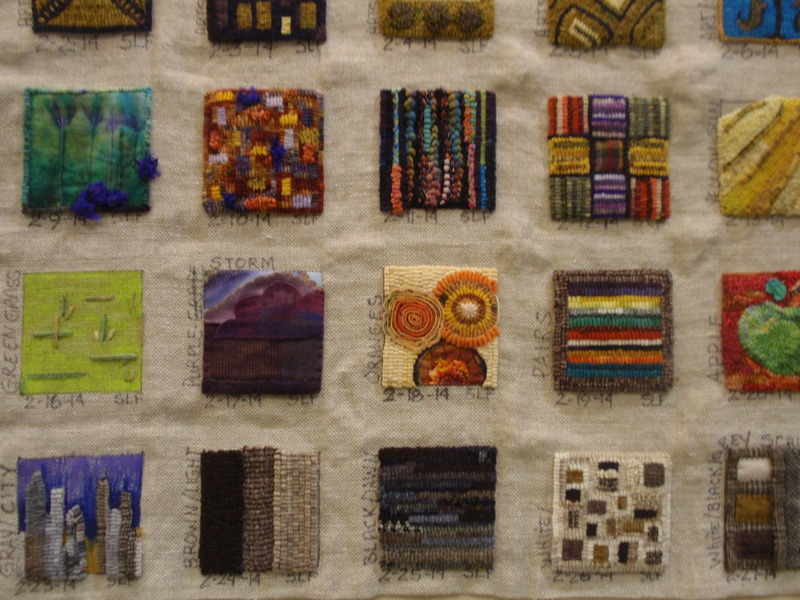 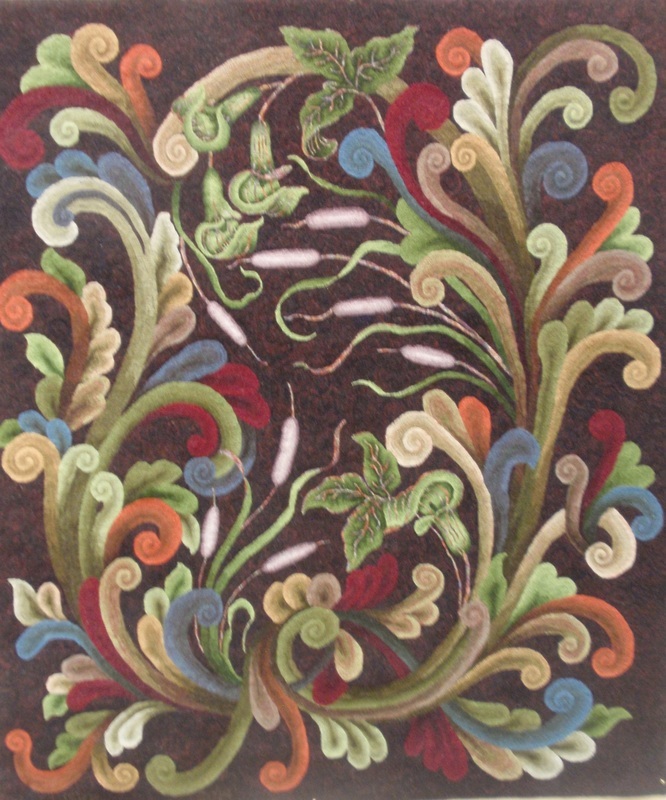 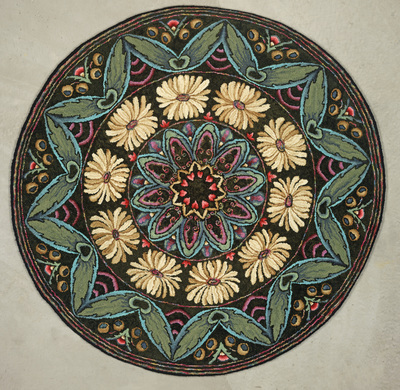 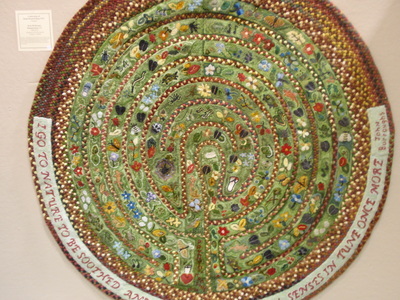 Judy Carter was featured and had 52 of her rugs on display. 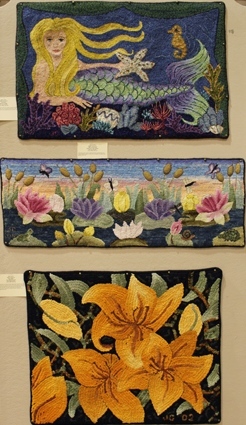 Here is just a sampling of the many beautiful rugs on display. Thank you to Connie for the article and the photos. 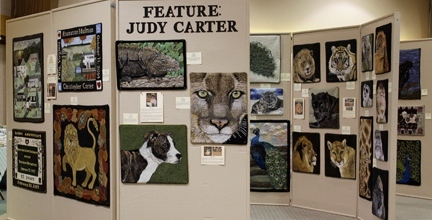 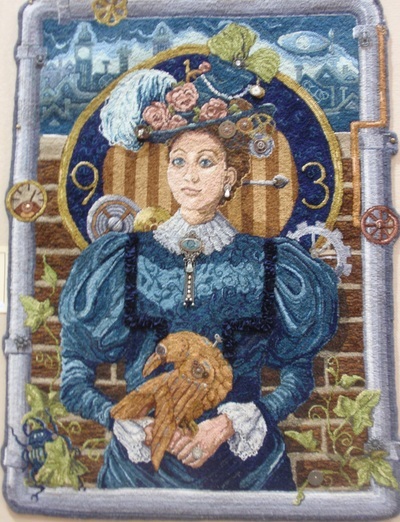 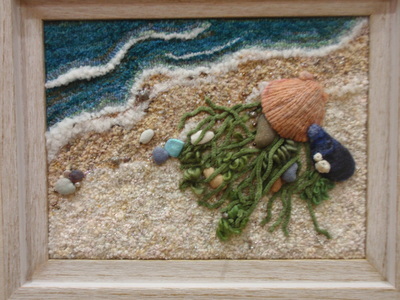 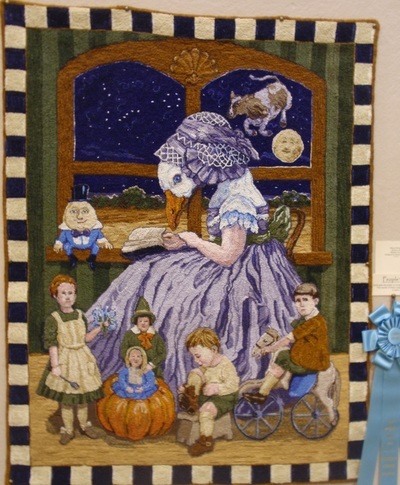 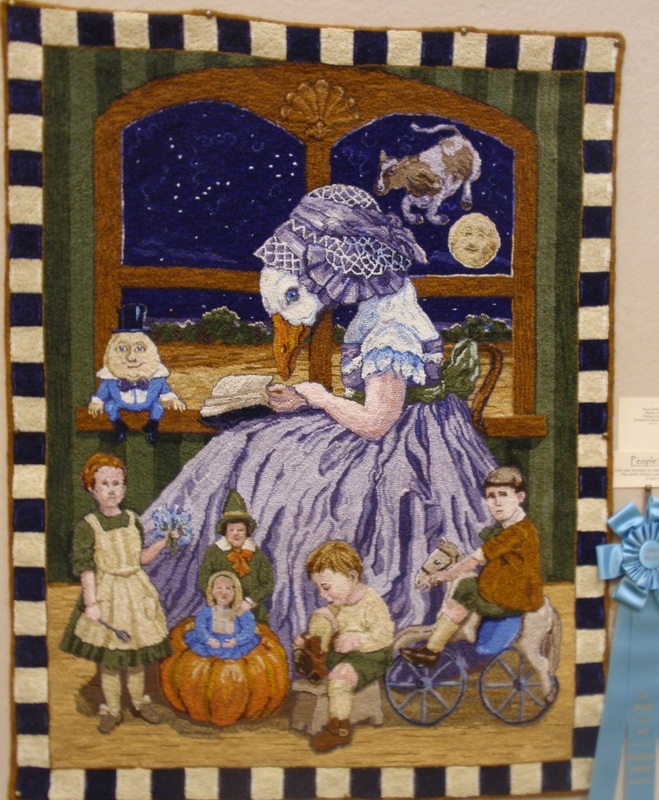 Judy Carter, Woolwrights member, was a featured artist this year at Sauder Village. Her rugs are just absolutely gorgeous. 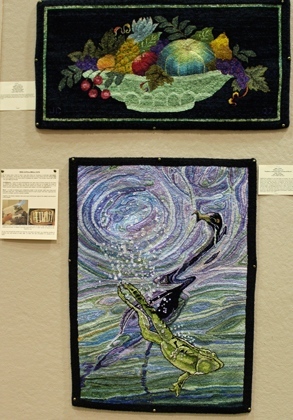 The wedding rug that was hooked for Judy's son and daughter-in-law received honorable mention in the Celebration magazine.